Since 2009, Christopher H. Fitzgerald has represented hundreds of clients in civil rights and personal injury cases, taking twenty four cases to jury trial against the NYPD and big insurance companies. The firm was started with the goal of meeting the specific needs of each individual client, marked by thorough preparation for each and every case. His past experience includes advocating for refugee asylum rights in Johannesburg, South Africa, and as a legal intern with the Legal Aid Society, Criminal Defense Division, and as a Regional Director for Barack Obama’s Presidential Run in 2008. Chris is a proud member of the New York State Trial Lawyers Association (NYSTLA), the American Association for Justice (formerly ATLA), the National Lawyers Guild Police Accountability Project, and the New York County Lawyers Association (NYCLA) Committee on Civil Rights and Civil Liberties. He is admitted to practice in the Southern and Eastern Federal Districts of New York, and New York and New Jersey state courts. 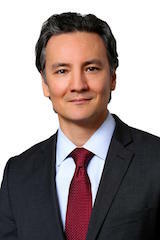 He is a graduate of Boston College and CUNY School of Law, and serves as trial counsel to the firm of Caesar & Napoli, P.C., a Manhattan based personal injury firm serving a diverse community of clients.